These beautiful Double Oven Gloves by Braw Scotland feature a delicate and contemporary hare print that will suit any interior. 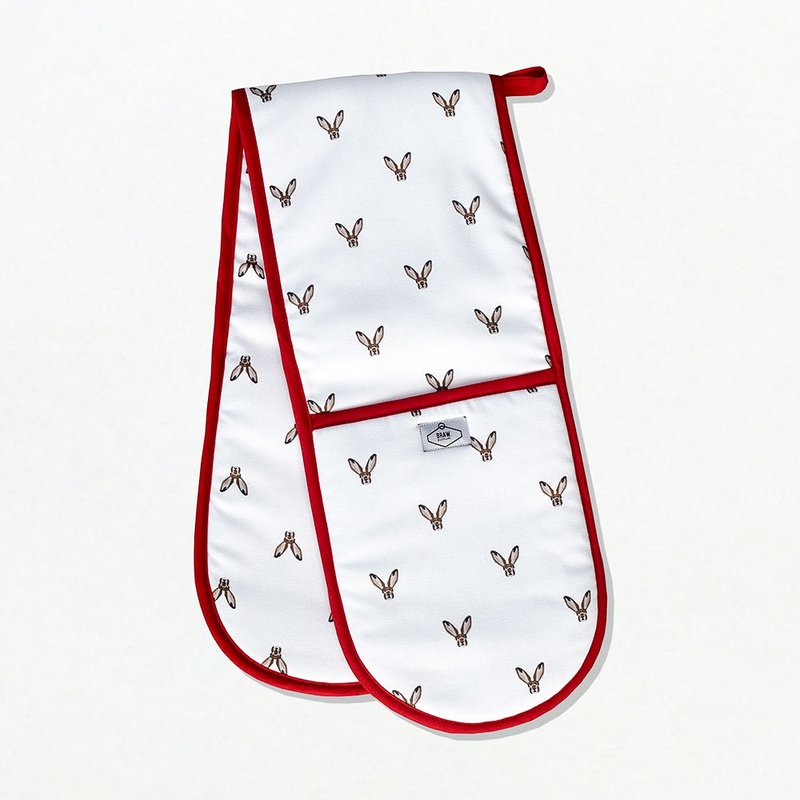 Made from textured 100% Cotton Half-Panama, they are not only heavyweight and durable, but a super-slim heat resistant lining allows you to grab things safely from the oven without them slipping or burning your hands. Size: 88cm long x 19cm wide with a 16.5cm wide and 22cm deep glove opening.